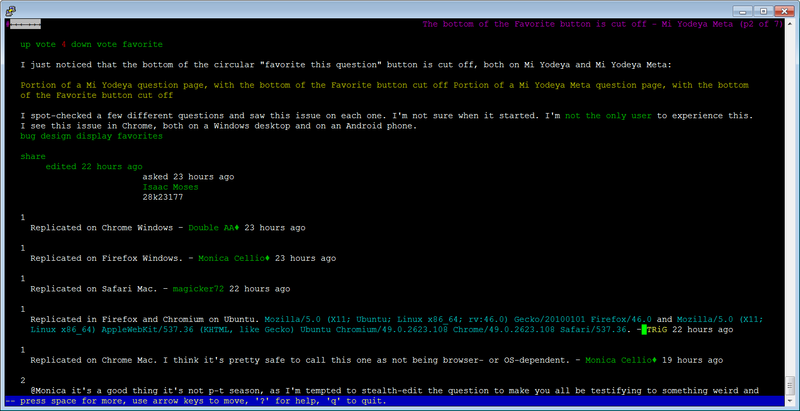 I spot-checked a few different questions and saw this issue on each one. I'm not sure when it started. I'm not the only user to experience this. I see this issue in Chrome, both on a Windows desktop and on an Android phone. The comments on this post indicate that the issue applies to varioius browsers on various platforms. This should be fixed now, it will be live after our next production build. Not the answer you're looking for? 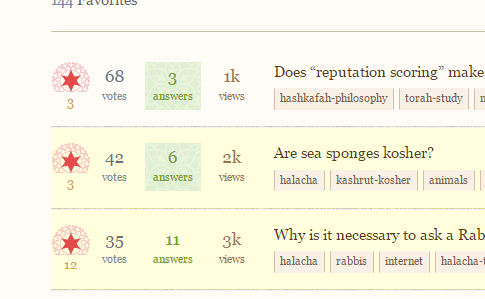 Browse other questions tagged bug status-completed design display favorites . 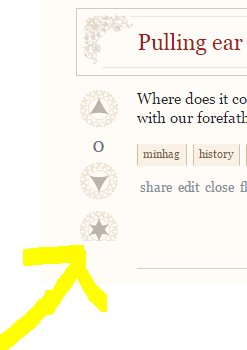 Did the “Questons” Button Link at the Top of the Page Change? 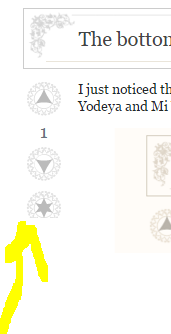 Another CSS issue with the save button?